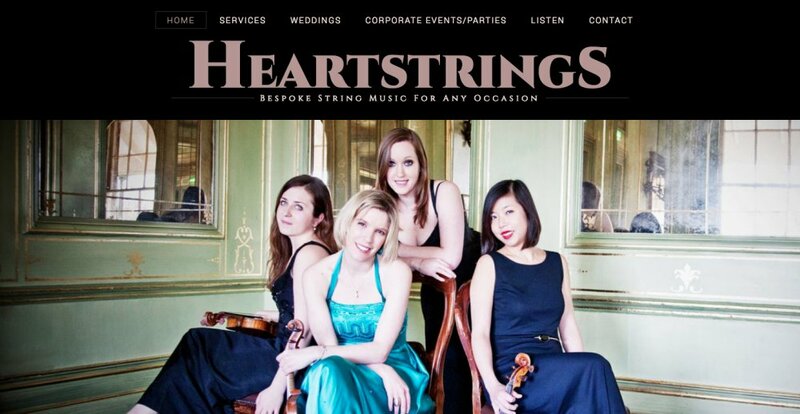 HEARTSTRINGS provide a bespoke service of strings duo, trio as well as solo violin and cello. 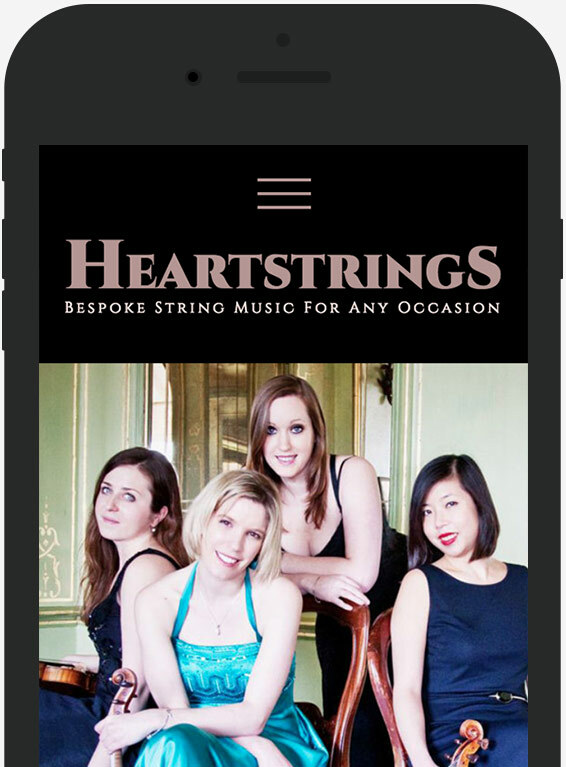 They already had a website but it was now outdated, not device responsive and needed a fresh brand. 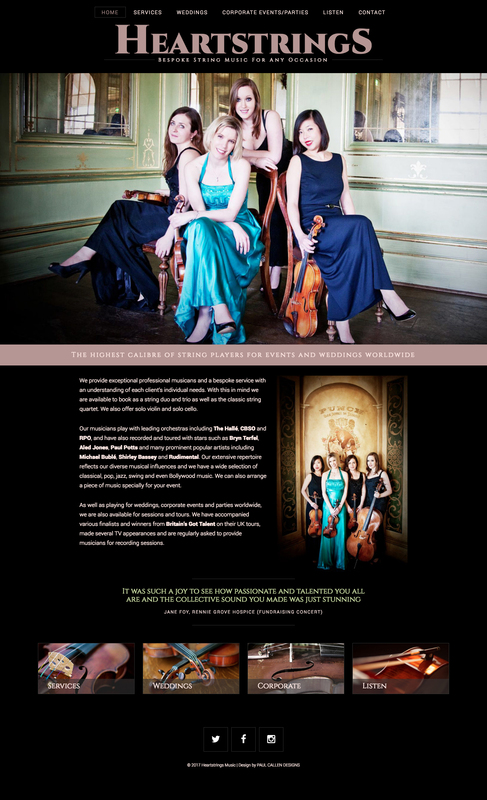 The brief was classic but modern with clean lines and a smart sophisticated look to market not just their classical repertoire but also their extensive pop repertoire. 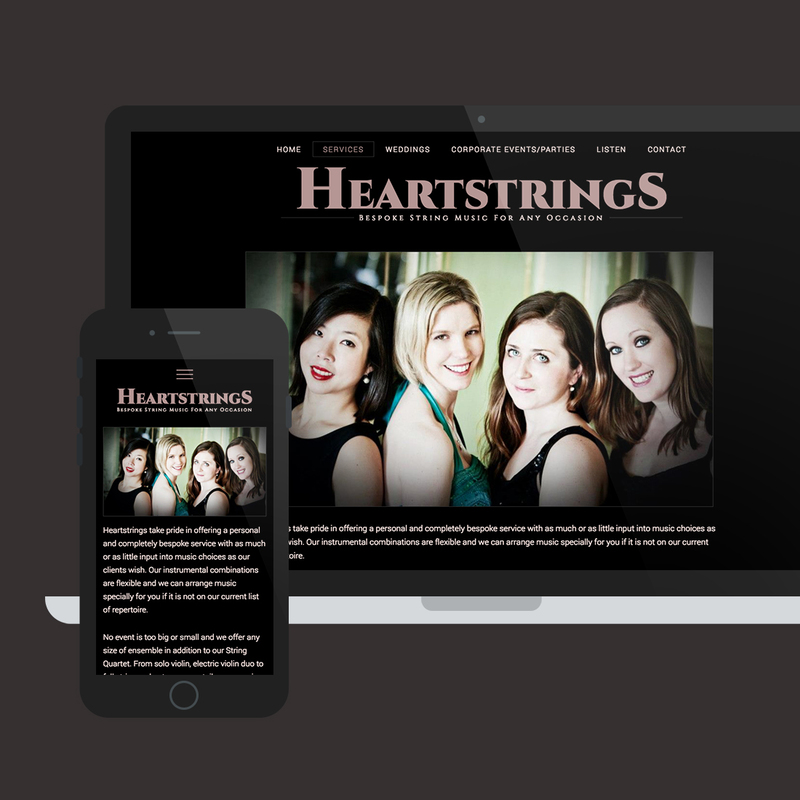 The site was created with a CUSTOM WORDPRESS THEME to allow the group to update and add photos/videos when they need.